Take the pain out of finding influencers forever - be sure you've got the right one, first time. 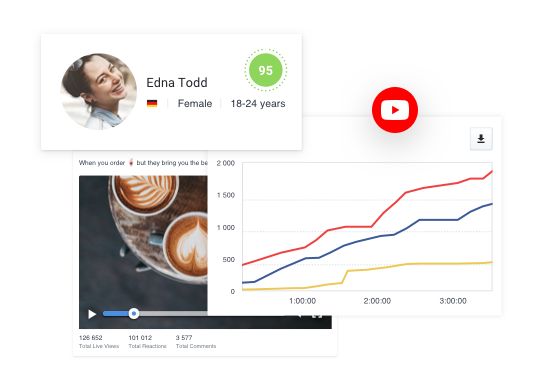 Our AI-driven YouTube Influencer Marketing Platform sifts and selects for you based on your needs. Select influencers with confidence. 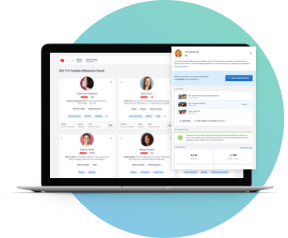 AI identifies and ranks your ideal influencers with precision on this influencer marketing platform. Track their key metrics - crystal clear overviews with a click. 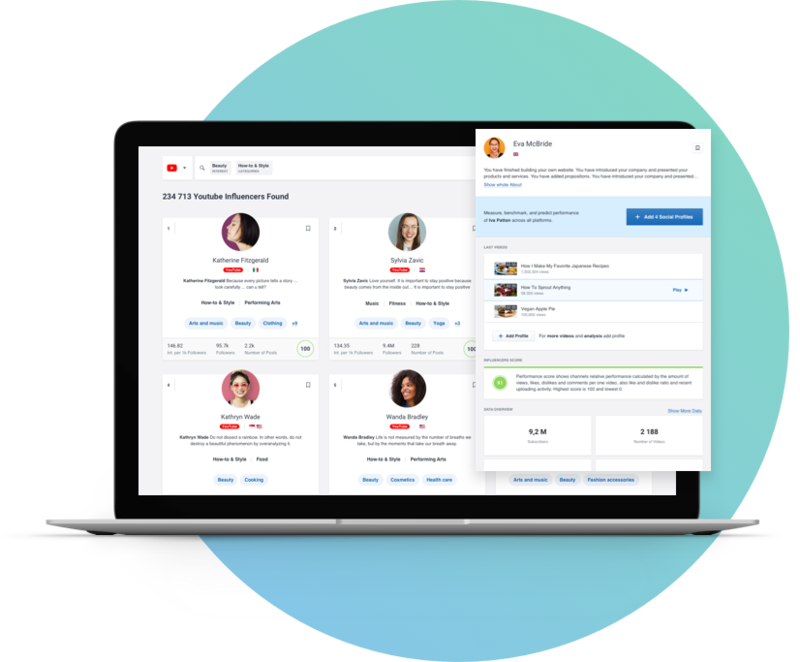 The web's largest database of leading YouTube influencers - all in one place. 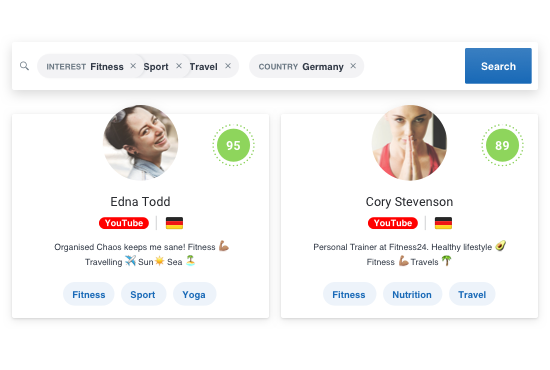 With AI technology, it's now so easy to set search filters to find the ideal influencer for your business in seconds. Get ultra-granular to find precisely the right influencer for you. Advanced search specifications filter by audience size, country, average video length or posting frequency. It really is that easy. Don’t leave key decisions to chance. 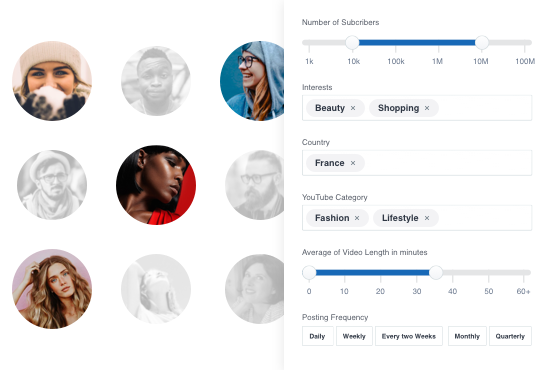 AI accurately scores influencers' performances based on their every critical metric - so it's always absolutely clear which influencer should be your top choice. 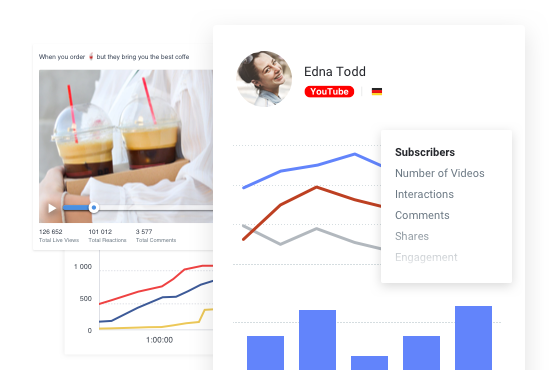 Add influencers profiles to your dashboards with a click. 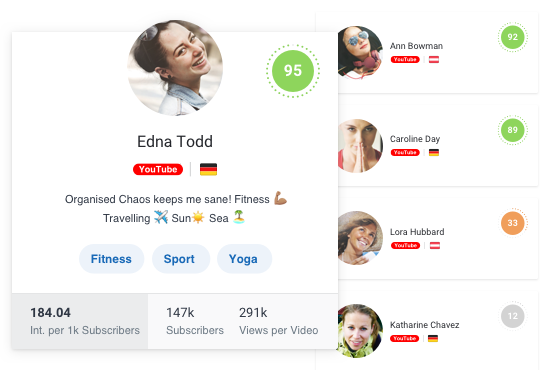 Monitor their profiles all in one place and take action with critical influencer performance and content insights - it's never been simpler. 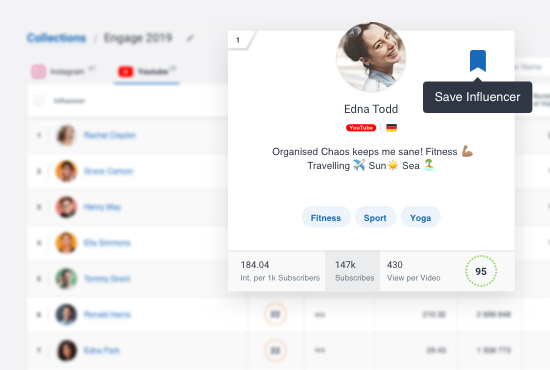 Save your favorite influencer profiles with a click and make final selections later together with your team. Build a portfolio of potentials in seconds and refer back any time. Be sure that your influencer campaigns are on course to hit your business objectives. Track influencers’ key performance metrics - instantly see what's on target and what requires a tactics tweak.